Not that the concepts are that terribly advanced, frankly – most of them make sense and are useful to beginner trainers too! When I first started planning this lesson I was originally thinking of discussing common trainer mistakes, but that would end up being a long list of don’t do this, and don’t do that. So, rather than bring your attention to undesired behaviour I’ll introduce some useful trainer habits, and explain why I think they’re valuable. The do’s rather than the don’ts. Throughout January, I’ll publish and discuss one of these habits every day on my Facebook page – head on over there to discuss each of them in turn! Also, which useful habits have you acquired (and there are bound to be many that I’ve overlooked!) that’s helped you become a better animal trainer? Please let us know in the comment’s section! Several of my students asked for posters illustrating the different habits, so I prepared a pdf with all of them. Interested in a copy? Just click here. Of course, acquiring good habits is not all there is to becoming a great animal trainer, but it’s a start. And as Zig Zigler once said: you don’t have to be great to start, but you have to start to be great. Interested in learning more? 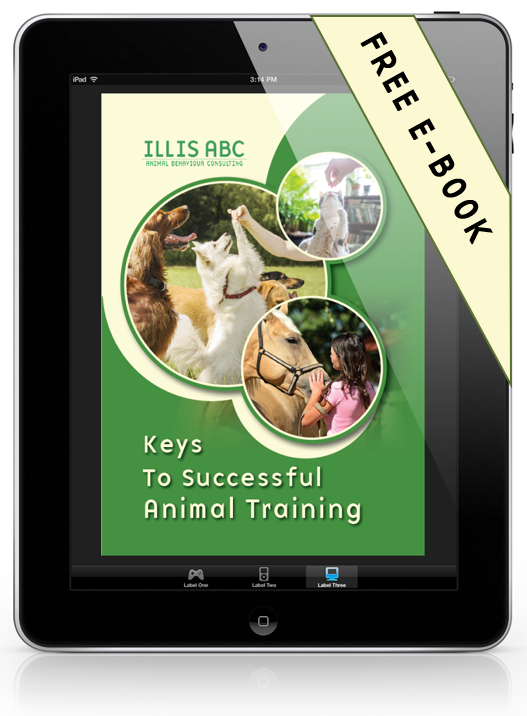 Check out the available courses, or grab a copy of the free e-book covering some of the things I wish I had known when I first started training animals. Good & interesting. Thank you. Don’t forget to laugh and find the humour. Keep it light hearted.